Vancouver police have assigned more than 50 officers to the investigation of a brazen gunfight that killed a 15-year-old boy after he was struck by a bullet while passing in a vehicle with his family. BC Coroners Service spokesman Andy Watson confirmed the teen died Monday following the shooting on Saturday evening. 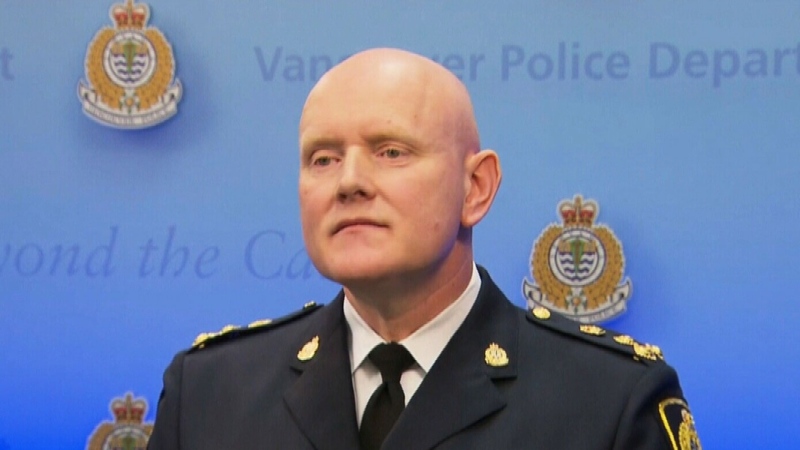 A 23-year-old man who was the target of the attack has died in hospital, Chief Const. Adam Palmer said. The boy was with his parents in the vehicle when he was struck as shots were fired between at least two people, Palmer told a news conference earlier Monday, adding he was heartbroken that the boy wasn't expected to survive. "People often ask me as chief of police what keeps me up at night. I tell them nothing specifically because Vancouver is a safe city ... . But this is the type of call that I absolutely dread. 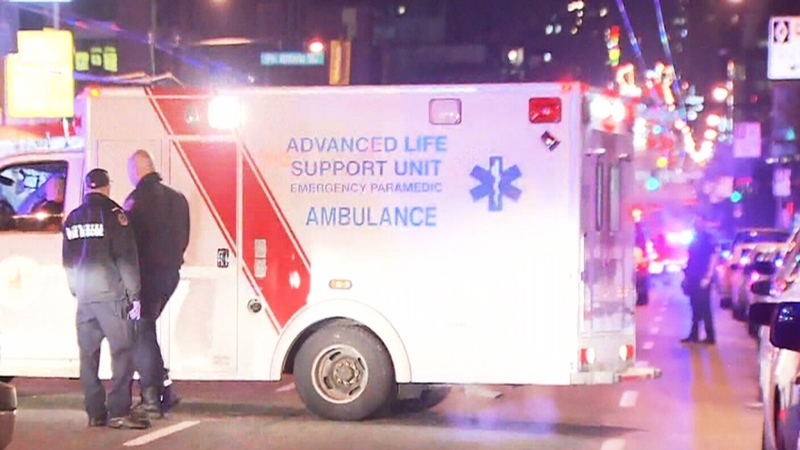 It's rare in Vancouver for an innocent victim to be caught up in this type of violence." Palmer said the shooting, which he related to gang activity, showed a disregard for the safety of others. "But every time criminals decide to exchange gunfire on our streets they endanger the lives of everybody around them. The events of Saturday night were reckless, reprehensible and there's no justification for this type of senseless violence in our city," he said. The teen was heading home to Coquitlam with his parents, Palmer said. "They were having a normal Saturday night, evening out with family, and now they are grieving for their son," he said. 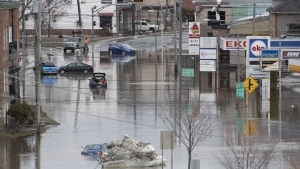 "My message to the family is this: We will not ever be able to fully comprehend your grief. But the Vancouver Police Department will do whatever it takes to seek justice for your son." Palmer identified the man who died as Kevin Whiteside and said he was known to police. Other suspects have not been identified but Palmer said more than 50 officers are working on the case. A man in his 30s who was driving by was also injured. He was treated at the scene. Police are reviewing video and speaking with witnesses to determine how many people were wielding weapons, Palmer said. He warned gangs operating in the city that police will pursue them. "We're continuing to target gang members and when they engage in this type of activity in our city we're going to come after them, aggressively," he said. Premier John Horgan made an appeal for people to contact police if they know anything that might help the investigation. "My heart goes out to family and friends of the innocent boy caught up in the violence of the Vancouver shooting Saturday," he said on Twitter. Palmer said the last loss of an innocent life he could recall was a shooting in 2004 outside a nightclub in the Gastown district that claimed the life of Rachel Davis, who was 23. She was trying to stop a man from beating another man who was on the ground when she was shot. Her companion was shot and wounded in the wrist and shoulder. The victim on the ground, Richard Hui, was also killed. Both Davis and Hui died of bullet wounds to the head. Imran Sharif, 25, was found guilty in 2006 of two counts of first-degree murder and sentenced to life in prison. 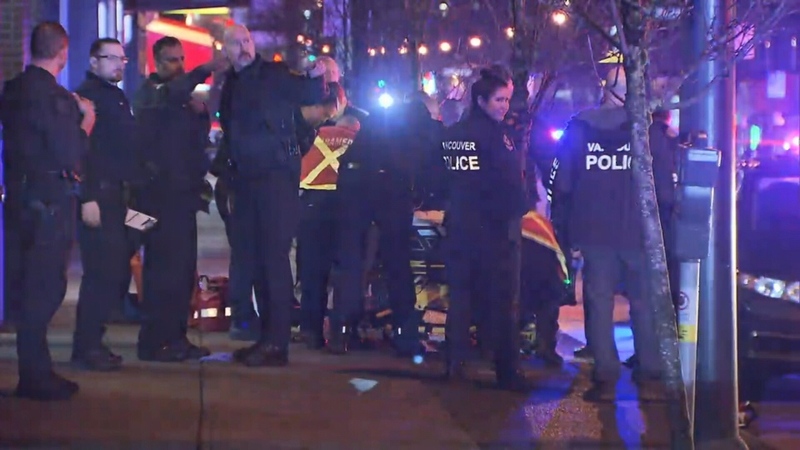 Police say a 15-year-old boy is on life support and not expected to survive following a brazen exchange of gunfire on a busy Vancouver street. Chief Const. Adam Palmer says the teen was in a passing vehicle Saturday evening when he was struck by a bullet as shots were fired between at least two people.